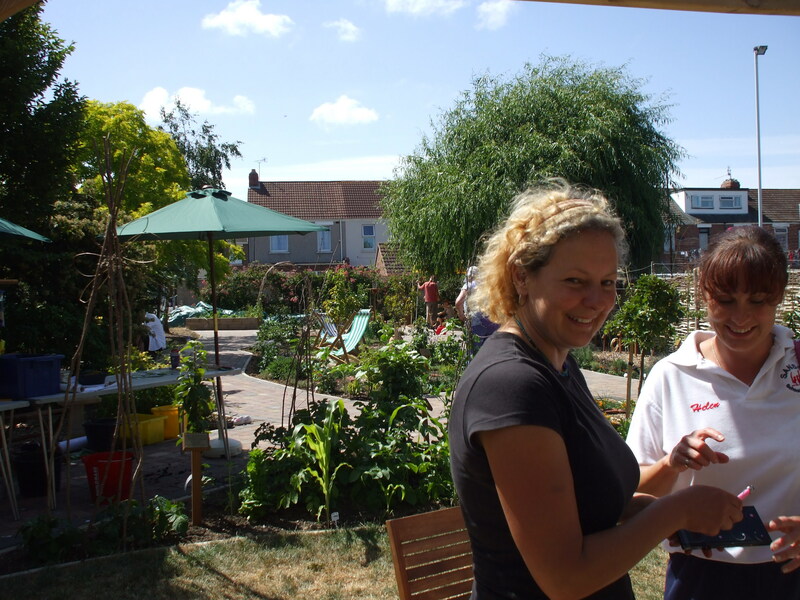 One of my closest and dearest friends, the lovely and talented Tracey Jones, has been working as a community gardener for the ‘Healthy Pompey’ project in the city of Portsmouth. Healthy Pompey is bringing Change4Life to Portsmouth through a range of free projects to help local people to eat well and move more. City Growing projects across the city are helping people to grow their own fruit and veg to get active and improve their diet. Nine community growing venues and free home growing packs provide opportunities for people of all ages to take part and get healthy. It’s a fantastic project and Tracey has been responsible for the design and development of one of these venues. Out of the neglected wasteland connected to The Stacey Community Centre in Baffins, Portsmouth, she has created a beautiful community orchard and garden. Portsmouth is an island and this has led to it being one of the most densely populately cities in the country: there is no land to expand, everything and everybody are tightly packed within its boundaries. This has meant that there is very little green space and so the creation of these wonderful sites makes a huge differecne to the quality of life of the city’s residents. 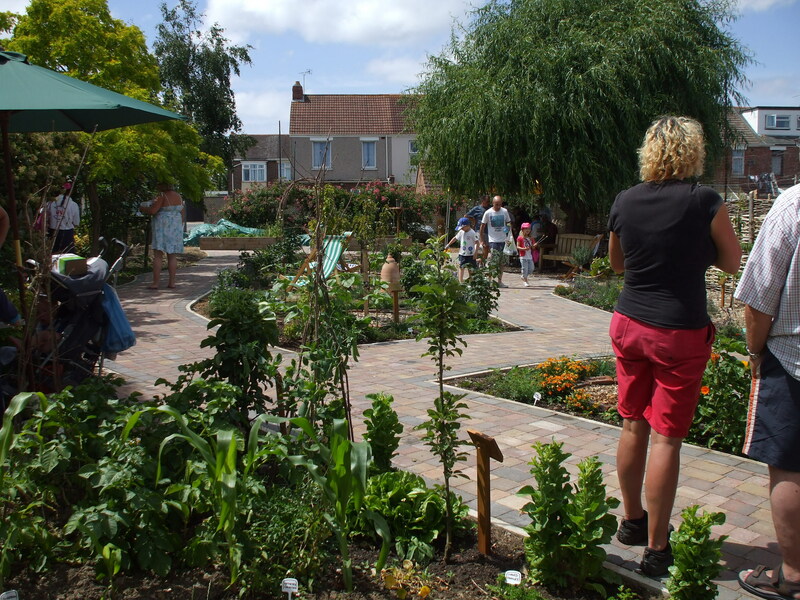 To see Tracey’s wonderful garden, grown up from wasteland, is very moving. Tracey recently spoke to me of how amazing it was to gradually watch a vision in her mind take shape and materialise. It’s a magical process that we so often underestimate. I am so incredibly proud of what Tracey has achieved – she is a constant inspiration to me. 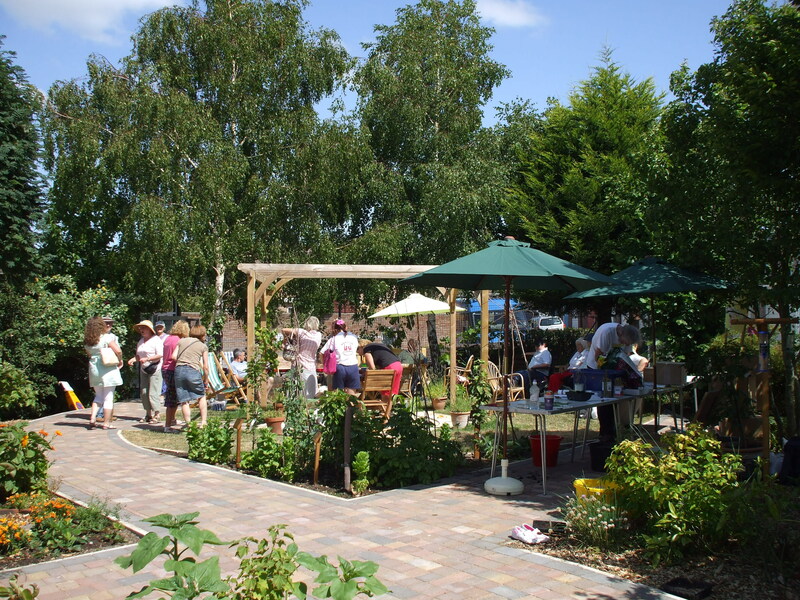 I include here some photos taken at the Orchard’s open day back in July.